As this summer is coming to an end and we are gearing up for the start of school, I am taking a moment to check in with you all and give a bit of an update to a post I wrote around the beginning of the summer. I spoke about my very frustrating and ongoing health/chronic pain issues, and had grand visions that all would be well on its way to a neatly wrapped up bundle of answers and pain free days by now! Ha! I was wrong about that, and while I do feel there has been some subtle improvement in the frequency of my pain, indeed I continue to struggle almost daily and often feel pretty exhausted by the pain. And I still feel determined to build on my current yoga practice and once the girls are back in school, get on the trail (at my pace) more often again, both things bring great physical and emotional well being. 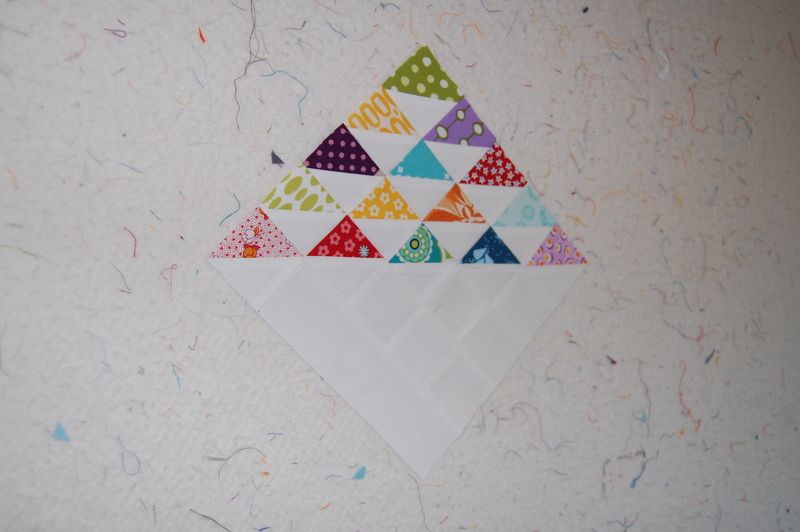 I have to laugh because in my earlier post I held this vision of coming back strong/pain free and also with a bunch of new and exciting quilt designs. Well I have to say, that is not the case either. Mostly, I’ve spent my summer, enjoying time with family, and trying to stay committed to healthy practices- eating well, excercising, setting clear boundries about my time, etc….. often a challenge in itself in our busy life. So where am I today? I’m in a place of accepting what is, the good of it and the not so good of it. I’m happy to say I’m preparing to send one of my favorite quilts I’ve made off to Houston for the Modern Quilt Guild Showcase at Quilt Market. As I carefully sew the sleeve to the back, I feel tons of gratitude for that fact that I had the mental and physical energy to create this quilt when I did. 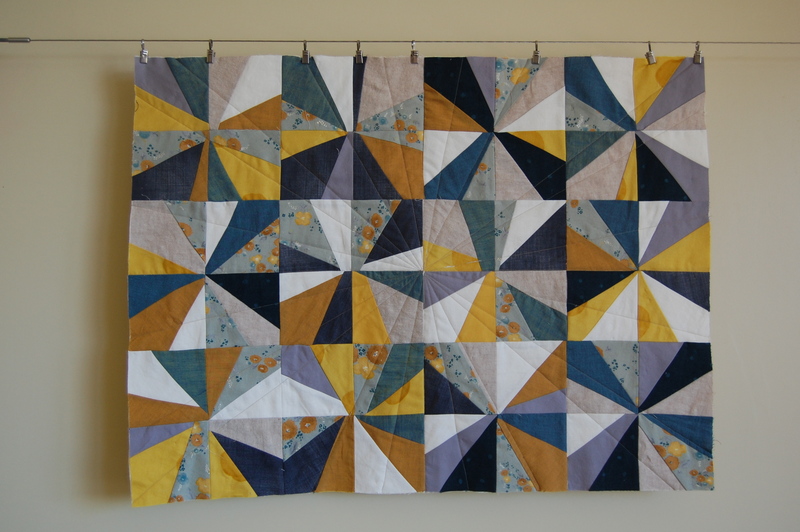 I know in my heart that I’ll be in that place again, ready and able to take on a bigger quilt project like this one was. And finishing up smaller projects that I didn’t love but couldn’t bare to toss into the unfinished pile (this one still needs binding)! Whatever it is I’m working on in my room these days just feels good to me. It truly is my little bit of “quilt therapy”. That’s where I am right now. Do I feel frustrated that I don’t have more energy and less pain, so I could put more time and effort into my work? Yes- too often! But my lesson continues to be that of patience and acceptance. I see so many amazing blogger’s and quilters doing fun and interesting things and sometimes wish that I was one of them right now. That feeling is incentive to continue my journey of figuring out my pain and learning how to manage it more effectively. I envision a day without chronic pain, and I will get there!! For now, I create when I can, accept what is and work really hard to finally live without pain! I’m grateful to all my readers who continue to come back and check in, all your well wishes and encouragement and all your patience with my spotty blogging. I must say that I’m loving Pinterest and Bloglovin’ right now as well, on my sleepless nights I am able to enjoy all the creative and amazing work of other quilters. Please do come and check out my very expanded Quilt Board. Okay, thanks for reading all the way to here and have a lovely weekend! First off, your quilt is beautiful. I just recently started following you and was unaware of your problems. I have to say, it was almost like your post was written by my hand-minus the awesome quilts part lol. I share the same issues and most recently a heart issue added on top of it. So many days I sit here, just wanting to be sewing, I just can’t. At night when things are bad, I too lay in bed looking at other peoples loveliness. I’m right there with you…completely understand, I really do!! If you ever want to see a rheumatologist, I can strongly recommend Timothy Spiegel. I’ve never met such a conscientious and careful doctor. Of course I don’t really know what sort of journey you’ve already taken to study this issue, but he helped me a lot, In simple and complex ways. Your quilts are lovely and I hope you move out of pain soon. I am sorry to hear you are in so much pain. Your Showcase quilt is amazing! I still am surprised that my little old one is going too, it will be surrounded by greatness that is for sure! Many hugs to you and I hope that soon you will start to feel even better. Chronic illnesses are definitely a trial in life but on the good side – a great learning experience about yourself. I hope you get where you need to be – your work is always inspiring. sorry to hear your’e not feeling that much better, Karen. I do hope that you find the answers soon. 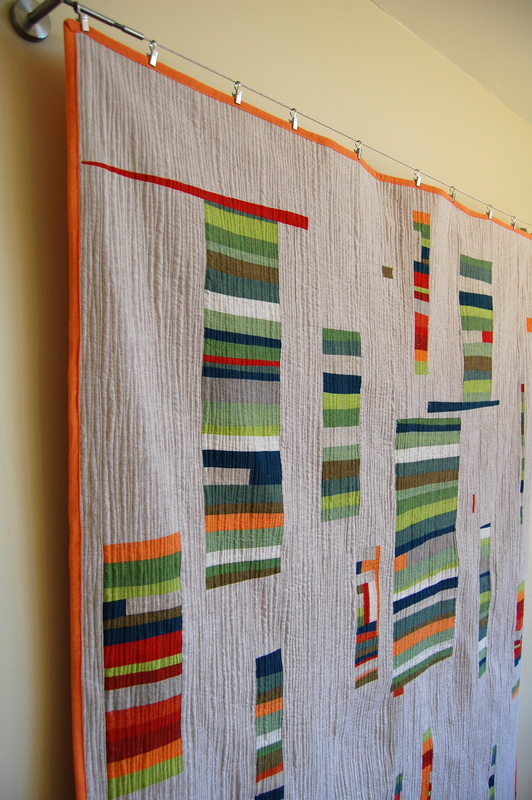 I adore the quilting on the quilt going to Houston, congrats on that too by the way!. Lovely to see what you have been up to during the summer. your quilty projects are beautiful, Karen. So sorry to hear things are not getting better faster. Hope you’ll be able to find a way to control your pain or, even better, become pain free soon. YOu’re in my thoughts and prayers. I’m very sorry to hear that you are not as pain-free as you were hoping to be by now. I am glad to hear that yoga and exercise are bringing you some physical and emotional relief…I have recurring back pain, and walking and stretching always make me feel better. I’m hoping you will continue to see improvement, to be pain-free, or at least reach a point where it doesn’t prevent you from enjoying the sewing and quilting we love, as well as all the other important things in your life, at a pace that’s right for you. Congrats on being in the Showcase, and I love your cheerful, scrappy little projects, and all your pretty pouches (here and on Pinterest)! I wish you all health and happiness, Karen, Have a lovely week. 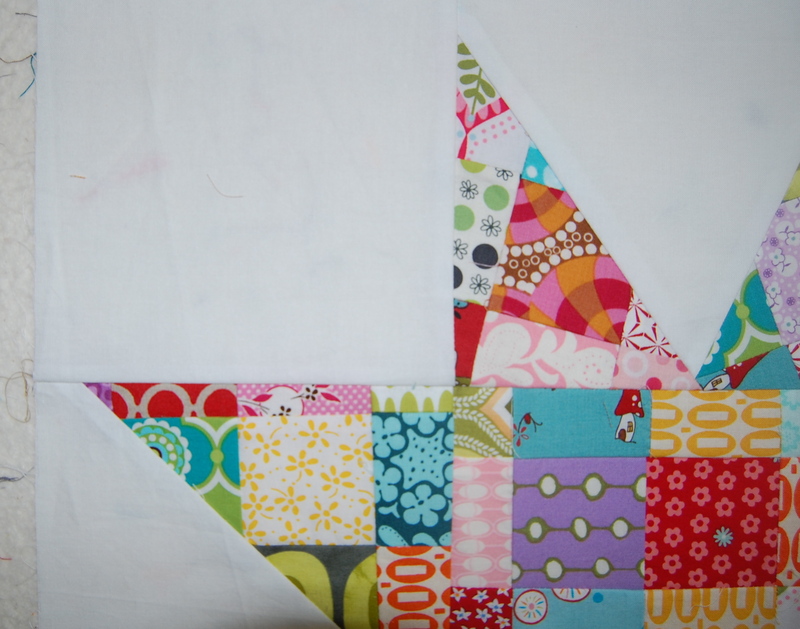 And good luck to your quilt in Houston – it’s still one of my all-time favourites…. Wish I could go to see it in person!